Double-ply nylon traffic lead with loop handle and snap end, 1-inch wide and 2 feet in length. 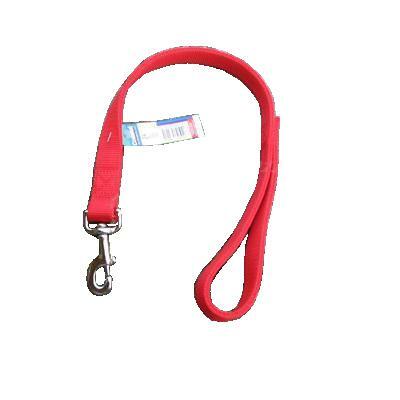 This lead consists of 1-inch double ply nylon and is best for large dogs. Coastal's high quality nylon is specially processed to prevent fraying and increase the strength. All nylon products are carefully and neatly finished for comfort, appeal and durability.